No fourth quarter collapse, no field goals missed, no late drama. Tony Romo and the Dallas Cowboys seized the game and the moment from the first quarter and built up too much of a lead against a dysfunctional team with a head coach on his way out to lose this one in the 4th again. The Tampa Bay Buccaneers tried to make noises of a team ready to come out of their seven loss funk after Josh Freeman ran for a first down in a 3rd and five situation. They kept talking about the need to put Freeman in manageable situations in third downs. Then he tried to run again, and fumbled the ball. It all went downhill from there. For the Cowboys, for Jason Garrett and for Tony Romo above everyone else, it was the beginning of the playoffs. Knowing they probably need to win out in order to make the playoffs and win the NFC East, Dallas were too focused for the Bucs, keeping mistakes to a minimum, and even when made, came at less vulnerable times than usual. 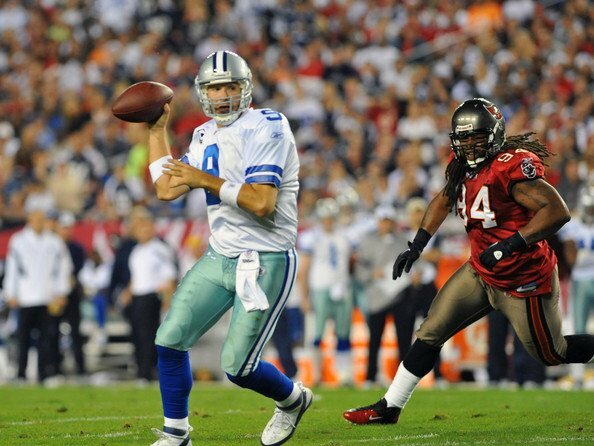 Romo, who finished with 249 yards and three touchdown passes (133.9 QB rating), was sharp from the start. 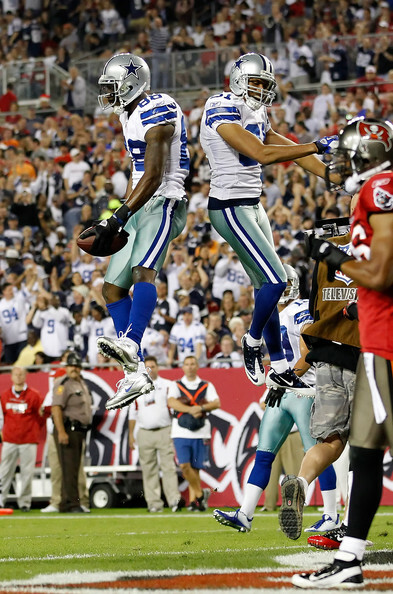 It was 28-0 at half time – Romo found Dez Bryant, Miles Austin and Laurent Robinson in the end zone, running for the fourth touchdown with 20 seconds left in the first half by himself. 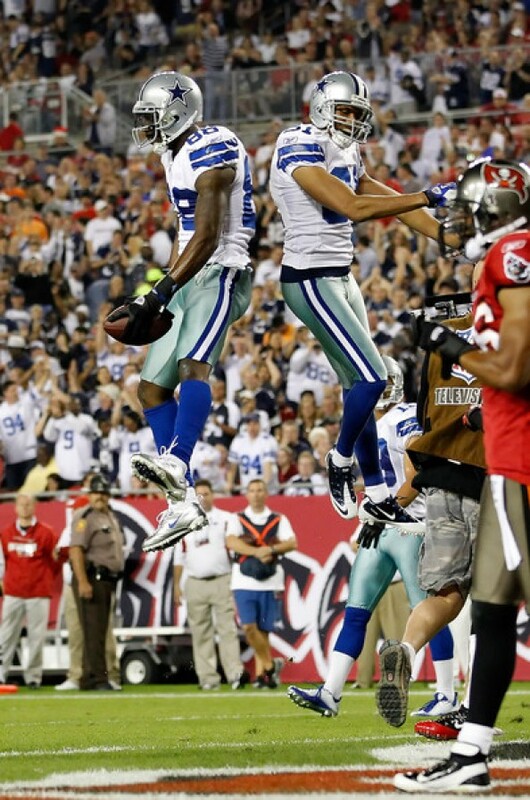 Truly a Romo-Show in Raymond James stadium, at least in the first two quarters. Tampa did make a game of it, sort of, for a short while in the third. Tony Romo fumbled the ball, Dekoda Watson returned it for a TD. Josh Freeman, struggling with his throwing, like all season long, nothing like his 2010 form, found Dezmon Briscoe in the end zone for what gave the Bucs a bit more hope, but the fourth quarter, scoreless for both sides, was just the Cowboys too good on defense. The Cowboys proved their offensive ability no doubt, but as they have all receivers and tight ends healthy for the first time this season, life without DeMarco Murray at running back springs along. Felix Jones is a good back, but not a guy good enough, consistent and durable enough to carry the load alone. Sammy Morris might be an unexpected fix. Jones still had a good game, with 108 yards in 22 carries. All Romo and Garrett spoke about before and after the match was wins. Putting the game-management mistakes of both of them behind, and keeping it simple, the mantra at least. We’re already in the playoffs, and all we gotta do is execute and win. Romo certainly looked more comfortable than recently with passing, in and outside the pocket. It may be the problems of the Buccaneers defense that made life easier, or maybe having Bryant, Austin and the emerging Robinson all together, while Jason Witten continues to be a beacon of stability and the favorite target in tough situations does make all the difference in ability and confidence.